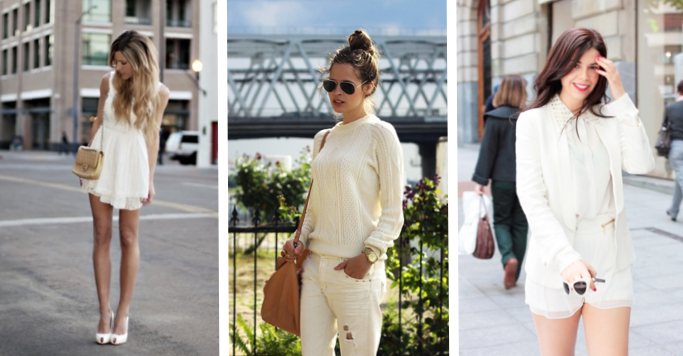 White on white can be a real challenge, but when styled properly, it can be chic and all. If you're not too sure about the trend, or are as less dramatic as me, you can make the transition by adding different tones of ivory, cream or beige into the ensemble. You'll be wearing the trend, in a 'safer' way. Although, frankly, after looking at all the beautiful looks designers have put together for their collections, I'm taking their side, and opting for lighter (yes, whiter) pieces.